Multi-color sparkle (not gritty!) in a completely clear base. More intense than photos show. Works great on its own, and looks amazing over any color. 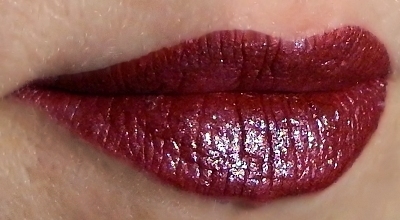 Shown alone and over berry-red liquid lipstick. 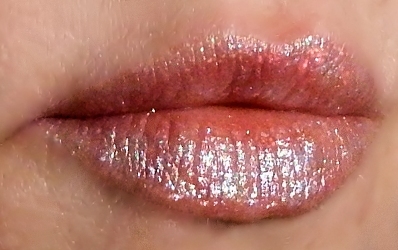 It works best over other "matte" liquid lipsticks, but can be applied over any lipstick or gloss (may thin base color). Using a separate applicator to apply over another lipstick is highly recommended, though the wand can easily be cleaned with alcohol or cosmetic grade oil if it gets stained with color (and dried before replacing). Apply in short vertical strokes for best results.